Law school does not exactly teach you how to establish a law firm, client intake or marketing. 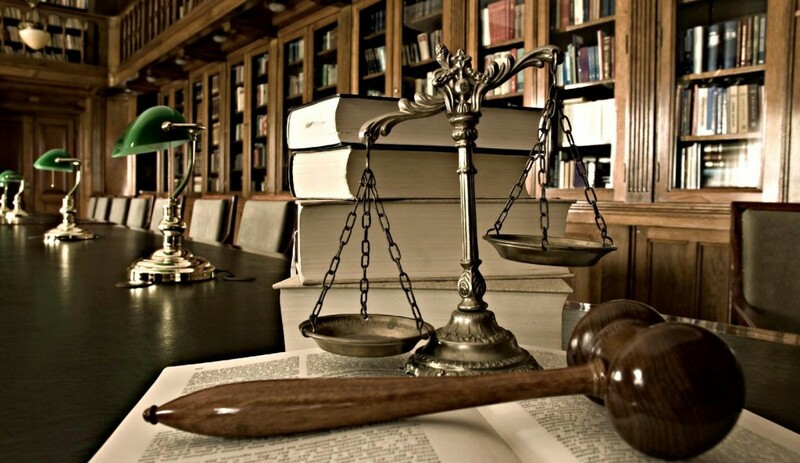 However, as you step into the world of legal practice, you realize these are the fundamentals of law. Many young law grads first opt to work with an established law firm and learn the rules of the trade. Unfortunately, however, many get stuck at a stage and position where their work primarily comes from other lawyers, and sometimes becomes more administrative in nature rather than cognitive. For many who aspire to set up their law firm, such behavior can be extremely deterring and demotivating, but it’s important to stick through this stage, while learning to take initiatives and forge connections. In addition, be keen and alert and take mental notes of how a law firm functions. There are some key aspects that differentiate a successful lawyer from an unsuccessful one and a well-acclaimed personal injury firm, from a not-so-known one. Review the following strategies and gradually carve your path to establish a respected personal injury firm. Communication is driving the world, and an alert, responsive, transparent communication system is what sets the best apart from the mediocre. Whether you are working as an attorney in a law firm or have just stepped into the overwhelming world of law with your personal injury firm, remember to keep the external and internal communication channels crisp and swift. This is especially important if you have partners on board. Make sure you and your partners are on the same page. It is very important that the partners share a similar value system and vision for the firm. Difficult partners on board can be a real challenge. Learn to cope with them, involve them and keep them motivated. Try to improve their actions and commitment level towards the firm. Make sure you involve partners and employees alike while taking important decisions regarding the firm. When it comes to clients, complete transparency and honesty should be your motto. Often a firm gets into trouble due to details not disclosed or skipped by the client, especially personal injury firms. It’s important you know everything about the party you are about to represent. Ask a lot of questions unambiguously and make sure to verify all the information from all parties. A personal injury firm needs to be highly committed and active in its dealings. Professionalism is all about punctuality. When you are in the initial stage and are just starting out to make a name in the market, professionalism and honoring your commitments become even more important. Word-of-mouth is extremely important in the case of law firms. Only when you provide exceptional service and legal representation will clients leave impressed and recommend you to other people. If you are starting off as a one-man unit, you will need to put in a lot of hours initially. Having a partner can be beneficial at this time. A personal injury attorney from a reputed firm in Chicago reiterates, “As your firm grows, the number of employees will also increase. Appointing individuals with appropriate expertise, and delegating tasks is the best option to keep your firm committed and professional as it expands.” From taxes to human resource requirements, you will need expert individuals to maintain the high standards of your firm and keep things professional. A key piece of advice to remember during the expansion stage of a personal injury law firm is to stick to your field of expertise instead of digressing across areas. This helps you to set your roots better and gain greater respect and excellence. Besides, personal injury itself is a wide legal playground where you will have to deal with multiple types of cases. Further, strengthen your position by becoming a part of credible and authoritative units like state and local bar councils. Social media interaction has become an important component of legal communication. Use this to your maximum advantage. Accept opportunities and volunteer to write for websites that have an extensive readership and are considered credible resources. Give out lots of important information on your website’s blog. Make sure you provide information that is not repetitive, of high value and something completely unique. Blogging is a great way to build a strong audience. Establish yourself as an authority on legal aspects. Make your presence felt on the social media, and become the go-to attorney for people’s legal dilemmas. When your website ranks high on Google, your personal injury firm gains credibility and exposure. Personal injury cases are all about extensive documentation. There will be lots of papers to and forth, from representation letters, court forms, questionnaires, complaints, motions and record requests. Aiming to keep all of them in physical format for reference is practically impossible. Technology is an important aspect of keeping records of every client. Make sure you keep yourself and your firm updated. Adopt technology in all your processes and make the work faster, smoother and accurate. That way, you will also mitigate the risks of losing any important documents and heighten the security and confidentiality of the documents through online passwords and other advanced security encryption. Being more technologically advanced will also give you an edge over older firms. Angela Coughlin is Customer Service Representative at Volgelzang Law, a personal injury law firm in Chicago, IL. She acts as the bridge between the attorney and the client, and communicates all the information related to the case between them.